For some reason that I have either forgotten or never actually knew, my children named this simple dish Joy. It certainly is a joy to me as a parent when they eat kale. I think the richness of the onions caramelized in coconut oil is the key to the recipe. It is also vital, at least for toddlers, to chop the kale into fairly small pieces. Long strips of cooked greens are too stringy for little ones. If you have leftovers, you can make a shepherd’s pie casserole the next day. Just spread the meat and vegetables in the bottom of a baking dish, top it with mashed potatoes (see the cauliflower mashed potato recipe below) and bake it for ~ 30 minutes at 350 degrees F.
Heat the oil in a large cast iron, or other heavy bottomed skillet. Add the onions to the hot oil and cook them over medium heat, stirring frequently until they are brown and soft. Stir in the kale and ¼ cup of water, cover the pan and let the vegetables simmer for ~5 minutes. Add the ground meat and sprinkle the salt over the top. Stir the mixture while it cooks until all of the meat is broken into small pieces. Cover the pan again and let the entire mixture cook it for ~ 10 more minutes. When it is done most of the fluid in the pan should have cooked off and the kale should be very tender. 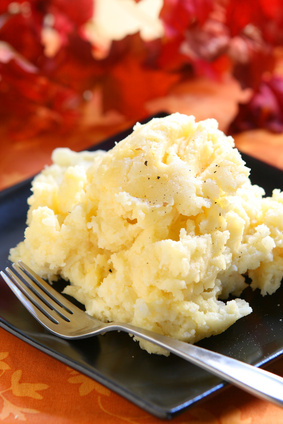 Serve the Joy with Cauliflower Mashed Potatoes (see below), rice, quinoa, or spaghetti squash. 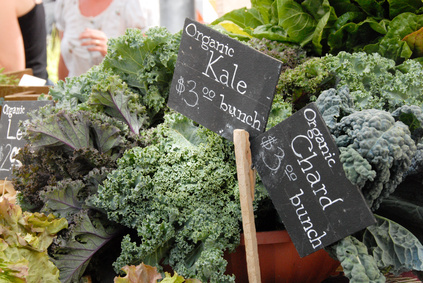 Cruciferous vegetables (broccoli, cabbage, kale, cauliflower and brussel sprouts) are packed with nutrients that prevent cancer and promote the cleansing. Adding pureed cauliflower to mashed potatoes, soups and sauces boosts nutrition without compromising taste. Pureed cauliflower is has a satisfying creamy texture that belies its fat-free vegetable status. Place the water, potatoes and garlic on the bottom of a large saucepan. Put the cauliflower florets on top. Bring the water to a boil and then reduce the heat to a simmer. Cover the pot and cook the vegetables until they are tender ~ 20 minutes. Check the water level periodically to make sure it doesn’t run out. Remove the cauliflower and garlic from the pot and puree them in a blender adding just enough cooking water to process. Remove the potatoes from the pot and place them in a large bowl. Add the butter and cauliflower puree and mash the mixture until it is smooth. You may add some more cooking liquid if the mixture is dry. Salt the mash to taste and serve it warm. Note: If you don’t mind a coarse texture it is not necessary to puree the cauliflower. You can simply mash all of the vegetables together.